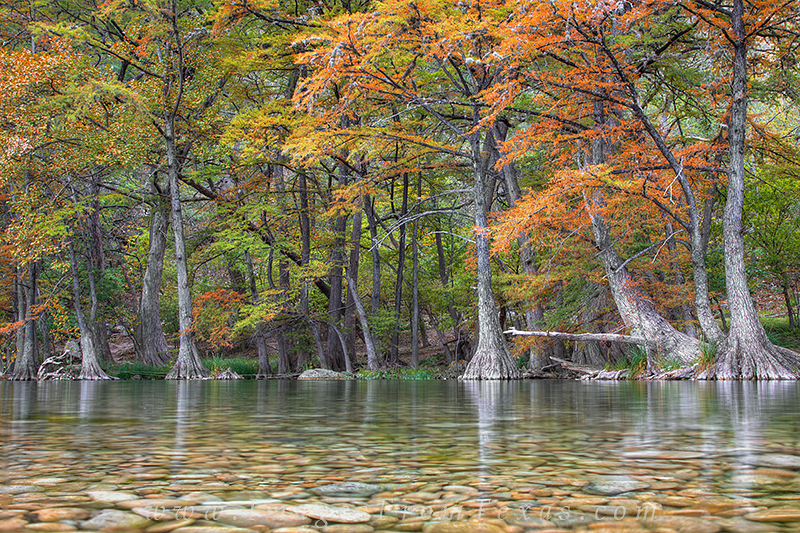 From Garner State Park in mid November, I positioned my camera at water level to capture the autumn colors along the Frio River. I wanted to show the rich clear texture of the water and rocks along with the gnarled roots of the majestic cypress trees clinging to the opposite bank. Photo © copyright by Rob Greebon.